Just coming on really fast to update you all on 365 Days of Fitness. Yesterday, I completed Day 216 AND the Strong Curves 12 Week At-Home Bodyweight Program!! The last 4 weeks were KILLER, but sooooo worth it!! I’ve experienced such great progress and strength gains. When I started, I couldn’t do ONE unassisted chin-up. It’s not easy, but now I can do 3 sets of 3!! And the strength I have gained in my legs, arms, back, and core are paying rewards in yoga!! 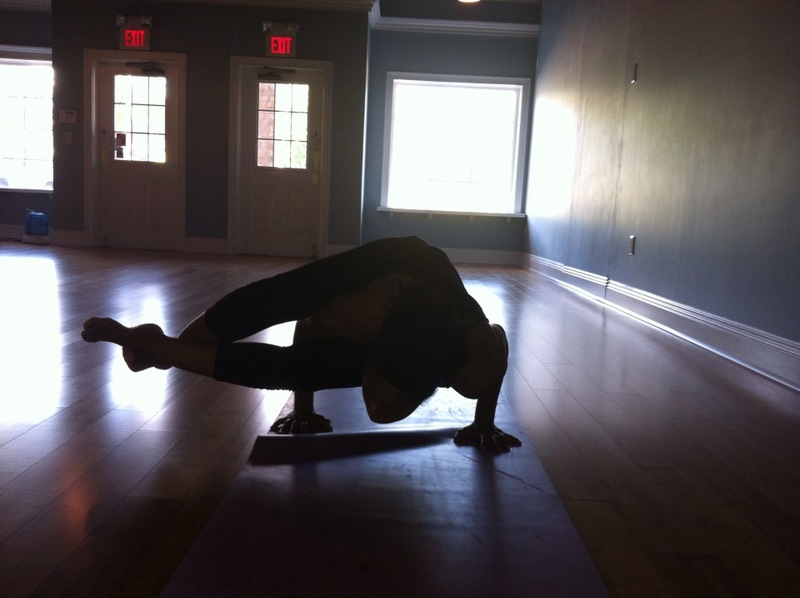 Crow to headstand to chatarunga to upward dog to downward dog flow. Day 217: Compass pose done the first time EVER. Now, to take a break. NOT from exercising silly ;)!! Just from Strong Curves! It’s been an intense 12 weeks of doing Strong Curves 3 days a week and I haven’t been eating the best, because it makes me so hungry! So, my weight has stayed pretty much the same (with some up and down on the scale). In order to get my eating back on track and to give my body a chance to recover, I’m going into an active “rest” week. I originally planned to do 20-30 minutes of Vinyasa Flow yoga a day with a DVD I picked up about a month ago on Amazon, Shiva Rea Daily Energy Vinyasa Flow. I really like this DVD because it has seven 20 minute practices that you can do solo or mix and match. You can also follow pre-set programs that do the mixing and matching for you. I may still do this only, but I’m also feeling like I may throw some hip thrusts and cardio in there too. We’ll see how I feel and how the week plays out. But, I will definitely do at least 20 minutes of yoga every day. If I can do what I did above with one practice a week, I wonder what I could accomplish practicing every day!! Okay, before I go, wanted to share two more things. I haven’t taken an after picture for Strong Curves and it may have to wait until next week … because the bloat is on, if you get my drift. But, I figured I’d share some more before and after pics from April and August. You’ve seen the abs in the past, but this is the first time I’ve posted my leg progress on the blog. You see, my lower body takes a lot longer to respond to exercise and diet. But, I’m getting there and I’m hoping that next week’s shots (plan to do a full body comparison to May … after a good week of eating *fingers crossed*) will look even better. And last, but definitely not least, two weeks ago, I decided I was going to start a new 10 minutes a day 365 Day Challenge. I have a dear friend with two very small children whose beloved 34 year old husband died this past week after an unexpected 9 month battle with leukemia. About three weeks ago, they placed him in an induced coma and I went to see her at the hospital. Her sadness, pain, and suffering hit me so hard. I tried my best to say the right words and tell her to keep faith and keep praying and God is a healer and performs miracles. But, I felt so helpless to really comfort her (though she has told me several times that my visiting that day and talking with her over the months has given her hope and kept her going). I just didn’t feel well-versed enough in scripture to explain why these things were happening and why, despite all their best efforts, things just went from bad to worse. And 365 Days of the Word began that very day. I asked for suggestions on what books or apps might be helpful and several people recommended YouVersion The Bible, which is chock full of reading plans. I started The One Year Bible that day and completed Day 15 this morning. Now, instead of waking up and grabbing my phone to check Facebook and Instagram for notifications and turning on the news to create background noise, I start my cup of coffee, say a prayer, and spend some quiet time alone with God and the “Bible.” I still have to stop myself from checking FB and IG and turning on the TV first … in fact, I turned on the TV yesterday and had to quickly turn it off. But, I’m working on replacing my old habits and routine with a new one, just like I did with fitness … one day at a time. Okay, I have fifty gajillion other things I could share about this, but I know that I have started to ramble! This post ended up being far longer than I initially intended … but that’s how it almost ALWAYS is with me. Once I start, it’s hard to stop me 😉 and I thought it was important to share this new journey. I hope that you are glad that I did so. Okay, that’s it! Enjoy the rest of your weekend! I need to go wash this hair and maybe …. maybe … there might be a blow-out in the immediate future that I’ll be sharing ;). Frist I will make this brief, i would like to commend you on your progress both physical and spiritual. I too have recently rededicated my life to Christ. And I must say it has been so rewarding Jesus is awesome. He is the Beead of Life. Secondly, my prayers are with your friend and her family. May the peace of Jesus, the peace that surpasses all understanding cover them And please do not beat yourself up about not saying the right things. There is much to say during times like these. Your presence , understaning , compassion, and patience meant more than any words. Just remember her from time to time , invite her for coffee or drop by with a meal . It seems after the initial two or three weeks people forget about the mourner and sometimes friends and family part like the res sea, because they’ve moved on, but for the mourner her loss is for a lifetime not something completed within a few weeks. Believe me I know first hand. It’s going to take time and Jesus to help heal her wounds. As well as a few loving friends. Amen! Thank you so much Davida, for the kind words and encouragement. That’s definitely what I’m trying to do … just keep being there for her. I know that is very important. We work together as well, which is how I first met her, but we connected from our very first meeting. I fell in love with her b/c she is such a doll. So, I expect that I will be handed the opportunity to spend time with her and check after her and encourage her. If not, I’ll make the opportunity as it shouldn’t be too hard and, even if it was, I still would. Thank you again! Shelli, I don’t know if it’s OK for me to reply, but just had to because for me, you are soooooooooo inspirational! I followed your blog for the hair tips, and have learned so much more from you! I just started a 365 fitness challenge today. Well, I started before and didn’t complete it, but this time I will. And … I began working with a personal trainer twice a week, and just started reading Strong Curves, so that I’ll be ready to do that as soon as my training sessions are over. I, like you, want to have a closer relationship with God. My prayers often sound so awkward to me, but then I realize that He understands everything I say, no matter how awkward, so just do it! I love your idea of the 10 mins. Per day spiritual challenge also. OK, you don’t know me, but I just wanted to tell you that I am changed. Thank you! P.S. You look fabulous!!! Another way to inspire! OF COURSE IT’S OKAY FOR YOU TO REPLY VALZIPPY!! I LOVE comments!!! I know sometimes I don’t respond to all, but I read EVERY, SINGLE, ONE with excitement. Sometimes I don’t reply or I’m slow to do so, b/c I just have so many places to do so (IG, FB, email, here) and I’m trying to post new stuff … so, it can get a little overwhelming. But, I love hearing from you guys!! It’s the bread and butter of a blogger :)!! So, secondly, that is awesome!! So glad that you are giving the fitness challenge another go! Nothing beats a fail like a try!!! There is a formula I use if you need one and its found in Phil 4:6 – Be careful for nothing; but in every thing by prayer and supplication with thanksgiving let your requests be made known unto God. Which I take to mean that we humble ourselves and give thanks to God for what He has already done when beginning to pray. I love Dr. Stanley as well. He is so profound and breaks things down so that beginning believers, like myself, can understand. I wish you all the best in your endeavors and my prayers go out to your friend as well. Exactly Sassy. His sermons are so relatable to me and I feel like they are always what I need to hear. He really teaches how to apply the scriptures to our day to day lives. Thank you so much for your well wishes for me and prayers for my friend. Thanks lady. I started reading it, but have to get this morning workout in now! I’ll read the rest later! 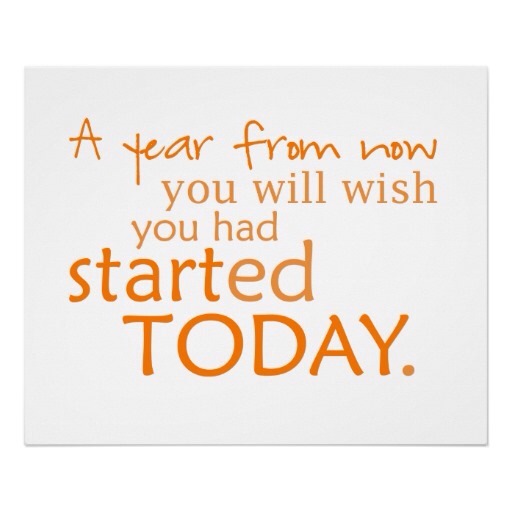 That is awesome for your fitness goals! Regarding the spiritual aspect, I believe your friend appreciated your presence more than anything. Sometimes for some people, you don’t have to say anything. But the spiritual journey you are embarcking on is amazing. I’ve been going to the Journey Church located in Midtown, across from Madison Square Garden for almost 4 years. It’s a teaching church and I’ve been inspired to read more into my Bible and understand God’s purpose for my life. The Journey really does a great job of giving extraordinary teaching aside from just attending service. So last December 16th, I made the commitment to read my Bible daily via The Bible App on my phone and I haven’t missed a day. 🙂 Even picked up several types of devotions and reading a Proverb a day through the end of the year. Glad to hear you are doing awesome! Thank you Alwina!! Thanks for sharing and the words of encouragement. The Bible app is awesome! I like that mine has a Psalm (to help me with prayer) and Proverb (wisdom/guidance) each day!! I also bought Dr. Charles Stanley’s book, Pathways to His Presence, but I haven’t started that one yet. Okay, so now you really are a Rock Star! LOL! Awwww, thanks Dawn *blushing*. Wonderful physique progress!! Keep it up!! Am in the process of getting body together for trini carnival 2014 and a bikini body building competition in April. As for morning ritual, the very first thing I say is thank you because many took their last breaths during the night. I then say thank you as i put my feet on the floor. I then visualize my goals with my senses and feelings for several minutes. Once I finish that I give heartfelt gratitude to everything I have while am walking around getting dressed for what is working, what I had and the blessings that I have asked for. I like to write these down in my gratitude journal as a pick me up thru the day. I haven’t really been on social media for about 3 months. In the mornings, I watch or listen to inspirational stuff or funny things. News is a foreign concept to me now. I need it to be informed, but not inundated. 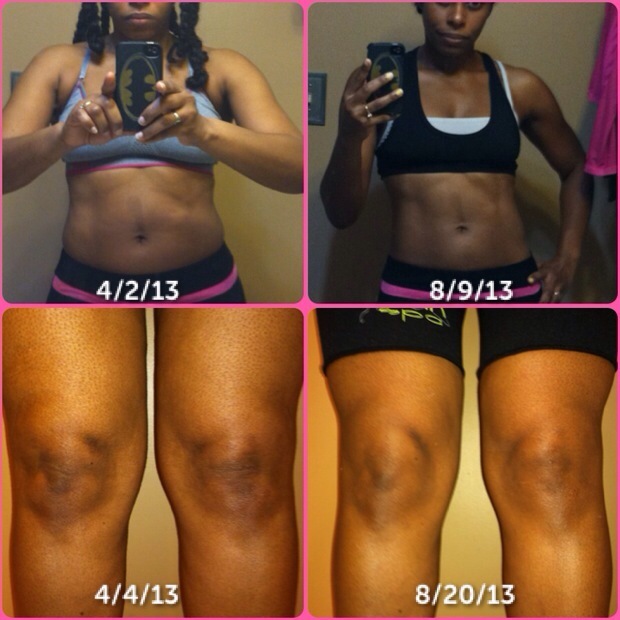 Thank you dajewel and best of luck on your own fitness journey and your competition in April!! Keep us posted!! I have this video, got for the low at TJMAX. Oh really?!?! I had never heard of Shiva Rea until I went looking for a Vinyasa Flow yoga DVD. But, I guess I had never really been looking too much for yoga DVDs either! LOL! Hi Shelli – I’ve been reading but haven’t posted in a while – going through some things. I truly am sorry for what your friend is going through, and I tell you the truth – your being there for her means so much. The most important thing I learned from my recent journey is to be silent and listen, but most importantly be there. I only wish I had acknowledged this earlier, but better late than never. 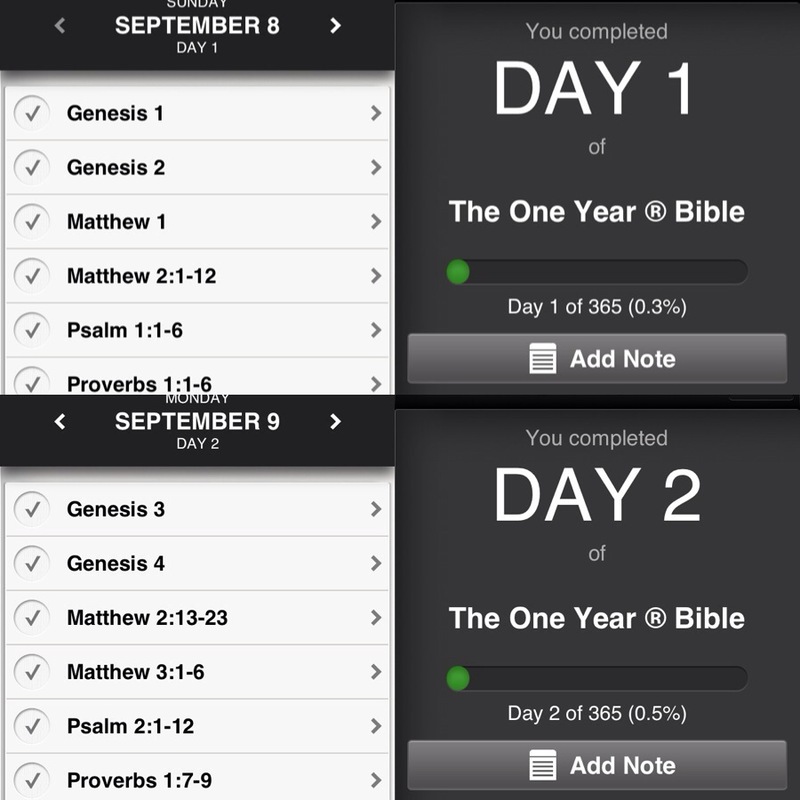 I never thought of looking for a Bible 365 app – I guess there really is ‘an APP for that”. I’ve been looking in the wrong directions for the right answer and I know it was here all the time. Thanks for your shining examples of endurance, and I will say a prayer for your friends. Hey lady!! I’m so sorry that you are going through things :(. You have been missed and I hope that things are improving? Thank you for the encouragement. I am definitely trying to just be there for her as much as/when she needs me. The app is awesome. It really is so helpful. I hope that you like it. And thank you for the prayers for my friend. I want to get as many for her as I can!! I’ve been underground for awhile and boy have I missed some goodies from your blog! 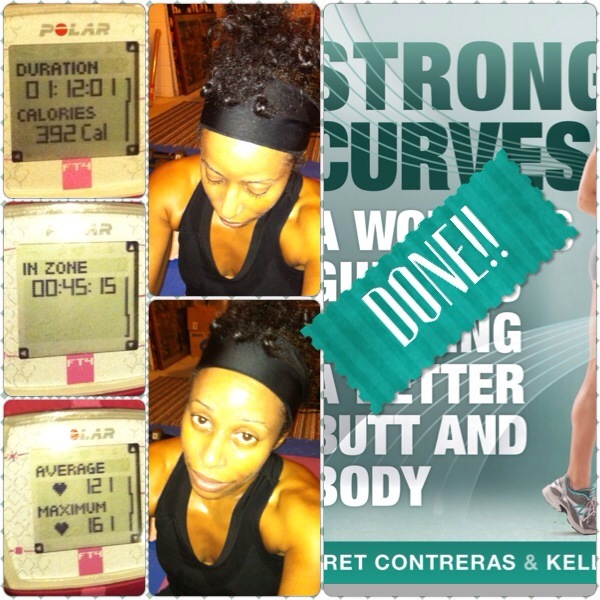 This has to be one of my favorite postings by you – workouts for the Mind and Soul – you go girl! I pray at twice a day, morning and evening. I find it helps me get my mind right before starting my day and helps me “detox” before bed. 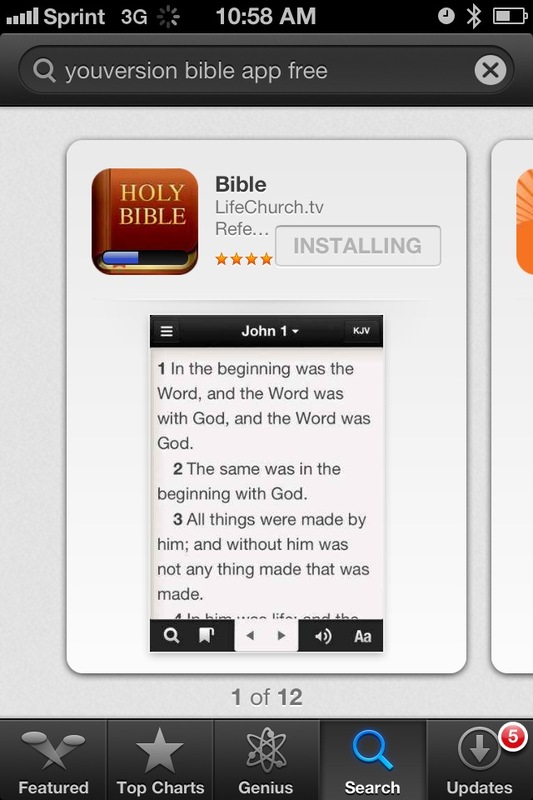 The Bible apps are awesome. I know this is an old post, but I am was browsing for some Strong Curves inspiration and I was happy to see another naturaulista doing the program. I am wondering, did you buy all the equipment required for the body-weight program? If not, what did you use for inverted rows? I bought several items for it. For the inverted rows, I bought a suspension trainer (fancy word for strap that hangs over door) from Walmart. I think there is a post on here w/the equipment I used for it.